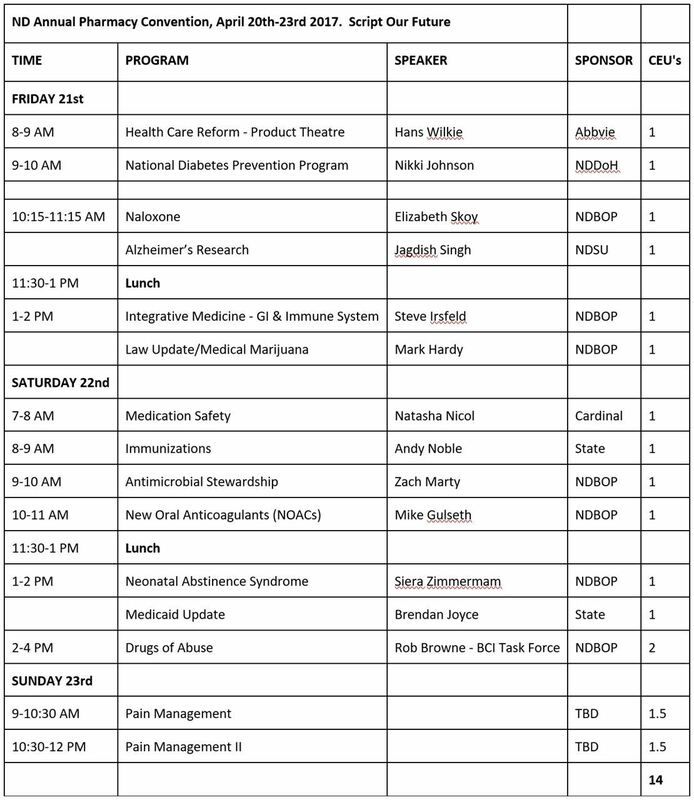 The ND Annual Pharmacy Convention is sponsored by NDSHP, NDPhA, and NAPT. As an NDSHP member, you receive the member price!! Registration is OPEN for the 2017 ND Annual Pharmacy Convention! Please share this information with your colleagues and other organizations. We look forward to seeing you at the Convention!